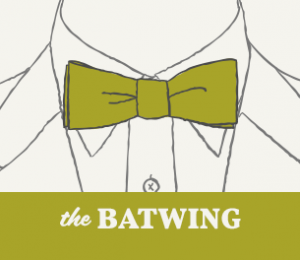 This is the best known of all bow tie models. I’m sure when you think about any bow tie you’re thinking about this model. It has a thistle shape and as a standard has a height of approximately 2.3 inches. 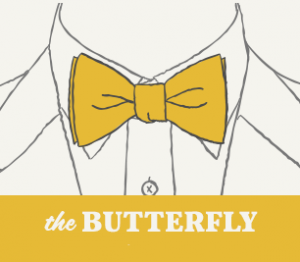 Butterfly bow ties look good on any type of face, whether round or elongated and generally go well for any party, ceremony, or celebration, so we can consider it as the most normal or standard bow tie, without prejudice to being a very nice and fantastic model. 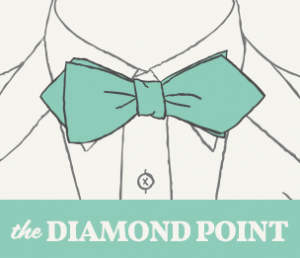 It is highly recommended for men who dare to wear a bow tie for the first time, instead of a tie. Dare with a Butterfly Bow Tie. 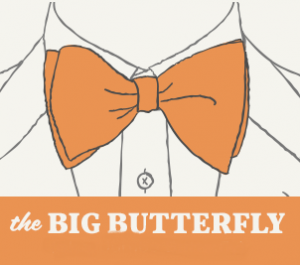 A variation of the previous model is the Big Butterfly Bow Tie, or Jumbo Butterfly Bow Tie, whose main feature is its large size since the height should be at least 3 inches and in some cases larger. We recommend this type for more solemn acts since this bow tie can be considered more serious and formal than the previous one, although I have also seen it worn by hipsters with a fantastic result. It is perfectly fine to wear with a tuxedo at very formal events. This type is characterized by its straight and elongated shape so its height is much smaller, not exceeding 2 inches, although in some cases, can be taken to the extreme making its height around one inch, although this case is an exception. 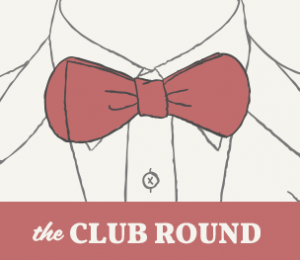 It is fit to wear with a tuxedo, just as you can wear it informally even with a sweater or vest. This type of bow tie is gaining popularity in recent years, as it is different from the classic bow ties while they are very elegant and original. They are characterized by having a flat and a diamond-shaped end, thus breaking the geometry of the more traditional bow ties. A great choice for your next social commitment, since in addition to being original, you will be the most elegant. Perhaps the least known and rare of all the models explained in this article. It is characterized by having rounded ends instead of flat ones. This style is for the most daring men as it is quite unusual and original. In general and to conclude this article, any bow tie is valid almost for any model and type of face. Which one is your favorite?. Leave us a comment.